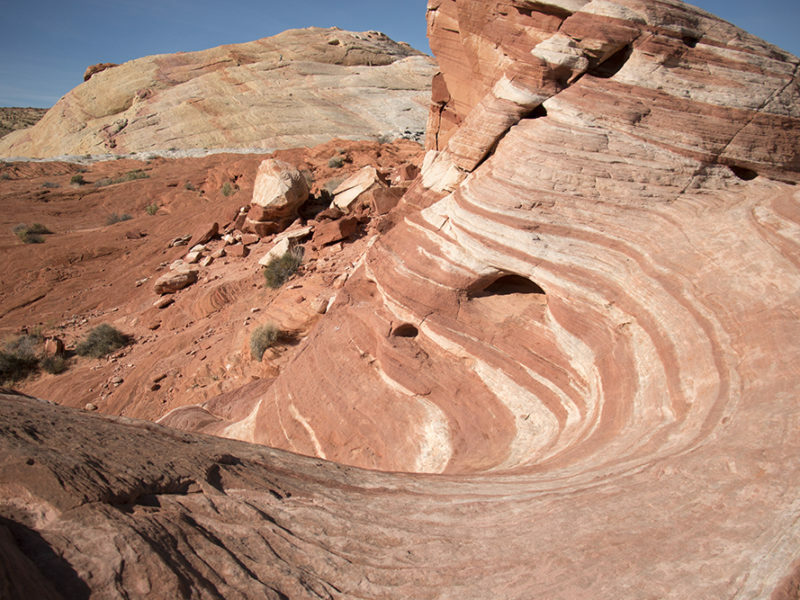 The Fire Wave Trail is a short hike within Valley of Fire State Park in southern Nevada, about an hour from Las Vegas. 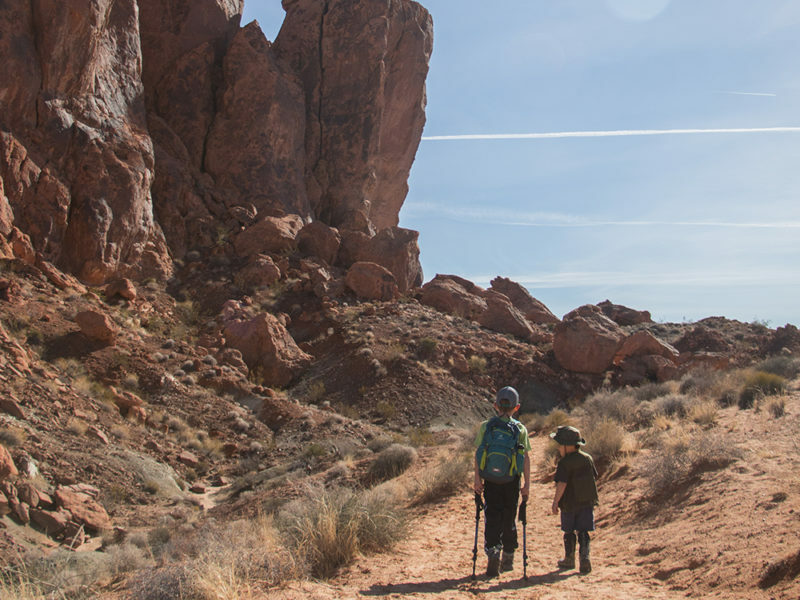 It’s mostly flat and offers beautiful views of the surrounding red rock formations; ending at a fantastic display of swirling rock in red, pink, and white sandstone. 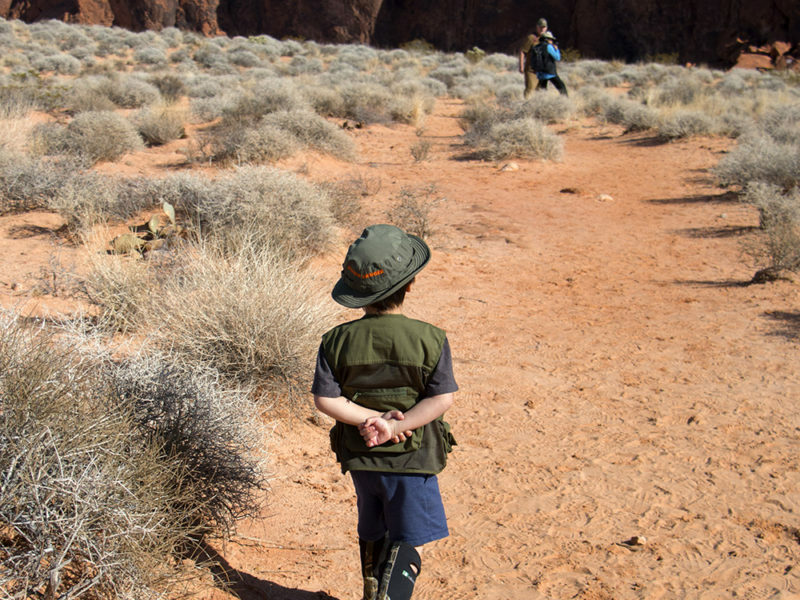 The trail has almost no shade and it is NOT recommend to do this hike in the summer. Temperatures can easily reach 120°F. It’s best hiked in the cooler months or early in the morning. 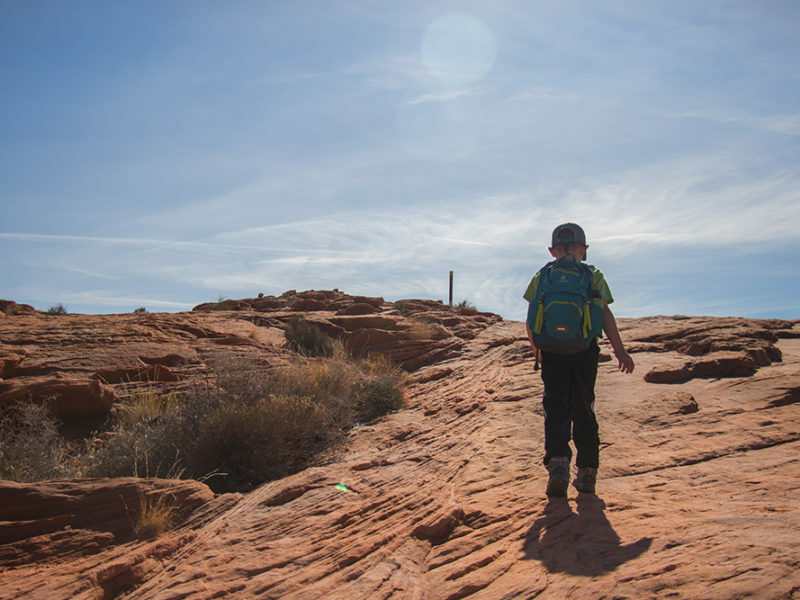 A large portion of the hike is on sandstone rather than sand and there are trail markers with rock cairns to help keep you on the trail. This trail is best hiked in cooler months. 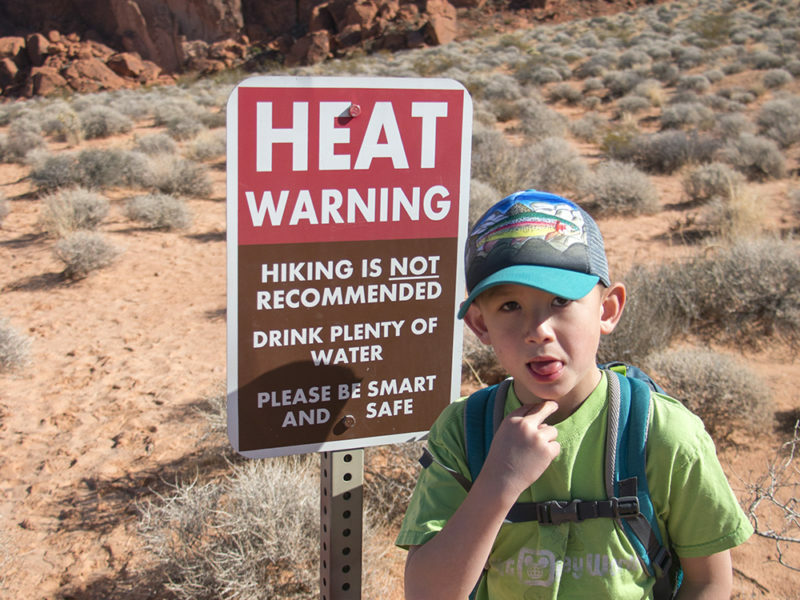 Summer temps can easily reach 120°F. Bring lots of water! A large part of the trail is on smooth rock, there are markers and rock cairns to help keep you going in the right direction. 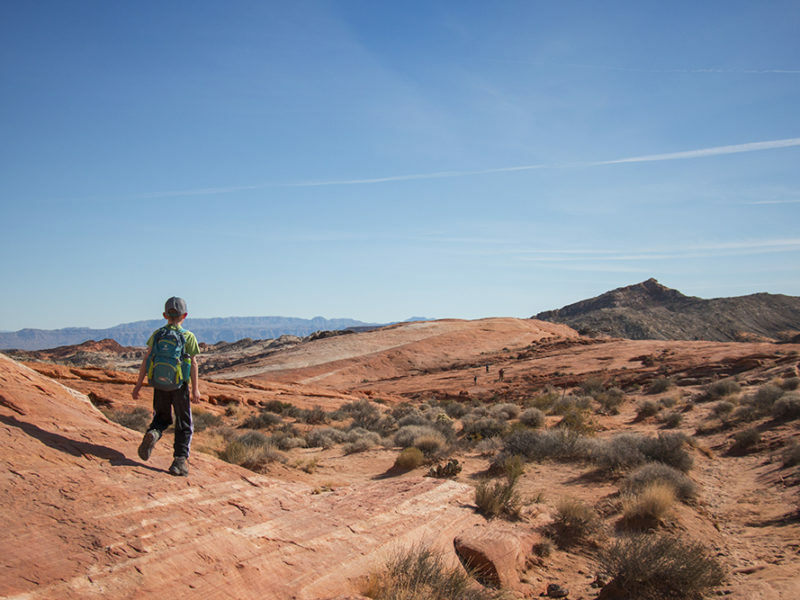 There is mostly no cell service in Valley of Fire State Park. But there are a couple of spots clearly marked where there is clear cell coverage. The parking lot for the Fire Wave hike is one of those spots. There are picnic tables and vault toilets just across the road from this trailhead. 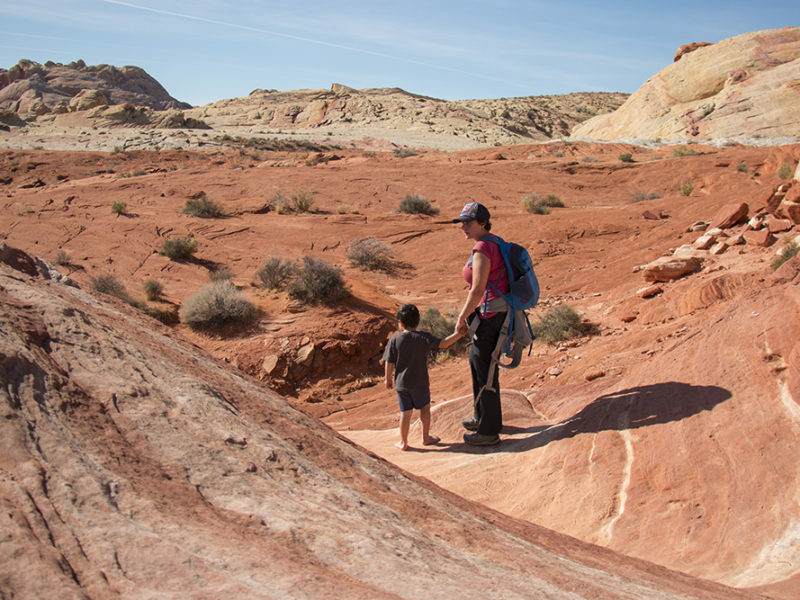 There is a fee to enter Valley of Fire State Park; $8 for Nevada residents and $10 for everyone else. There is clear and marked cell phone service at a couple of trailhead parking lots. Alex is an artist and graphic designer who runs her own little business from home while she’s momming it with her two school-aged boys. She’s a California native and transplant to the Salt Lake Valley where she’s completely fallen in love with living so close to the mountains. She loves hiking, camping, travel, soccer, photography and cooking. She geeks out over history, especially art history, loves getting lost in a great novel, and she started practicing taekwondo the year she turned 40. 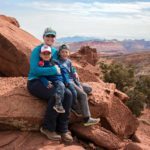 She’s also a Lifetime Girl Scout, and she loves sharing her love for travel and the outdoors with her kids.